1. Vacuum adsorption table design, feeding is convenient and quick. 2. 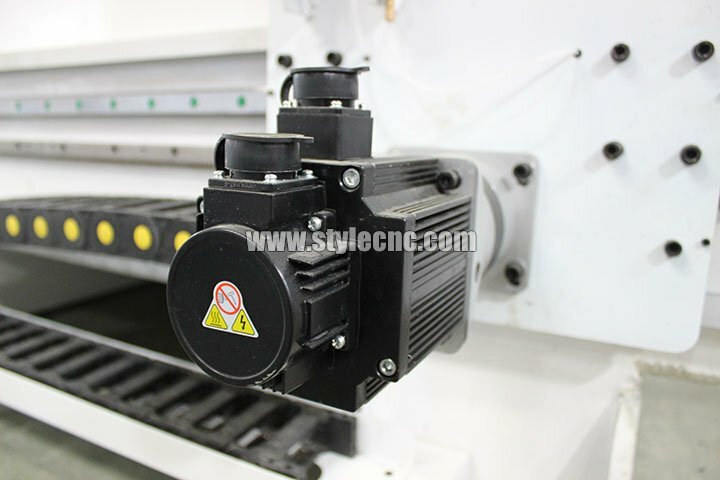 High-power spindle motor is more suitable for cutting. 3. 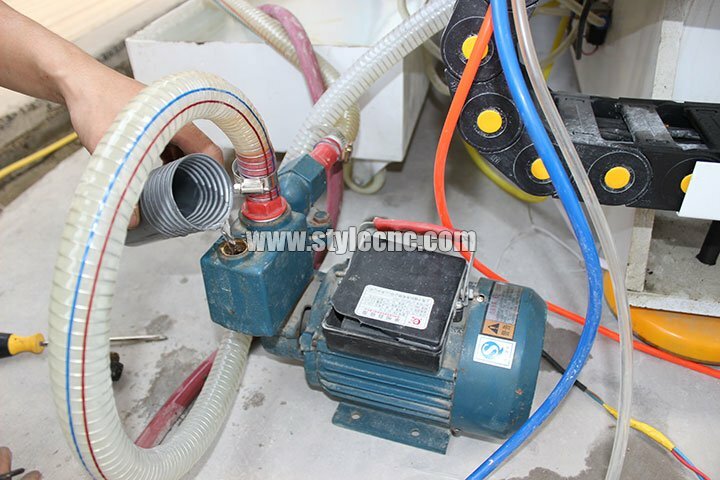 The stone CNC machine is more stable, more durable, effectively reducing the equipment in high-speed operation, the spindle jitter, broken knife, dislocation and so on. 4. A unique filter tank, water circulation system, effectively extending the service life of the sink. 5. Automatic oiling system, maintenance and more convenient. 6. Three shaft all dustproof and waterproof design. 7. Top brand spindle to ensure that the stone CNC machine in the high-speed operation, the output torque capacity unchanged, the spindle wear, high temperature. 8. 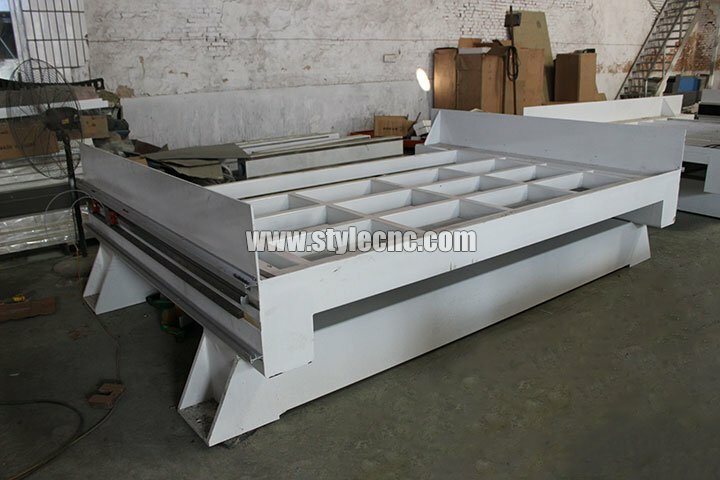 All institutions of the stone CNC machine are made of precision parts assembled. 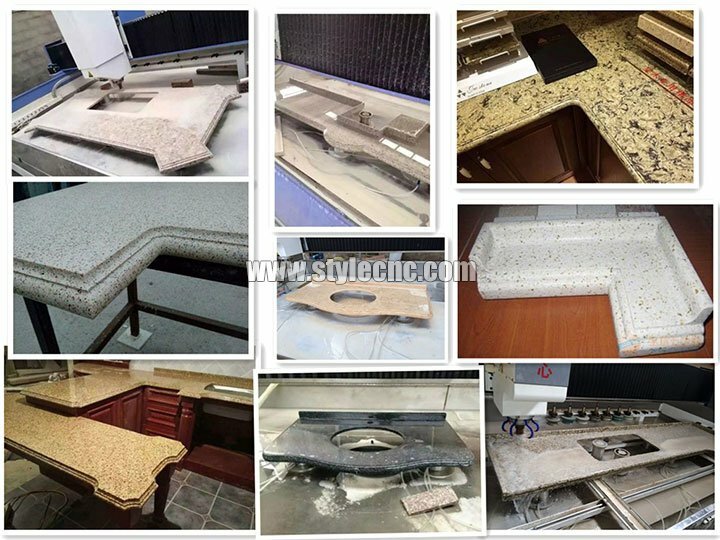 Quartz stone cabinet countertops processing, stone side modeling, arc retaining water grinding, basin pots, stone relief, hollow, line carving. Granite, marble, bluestone, tombstone, headstone and other stone materials processing. 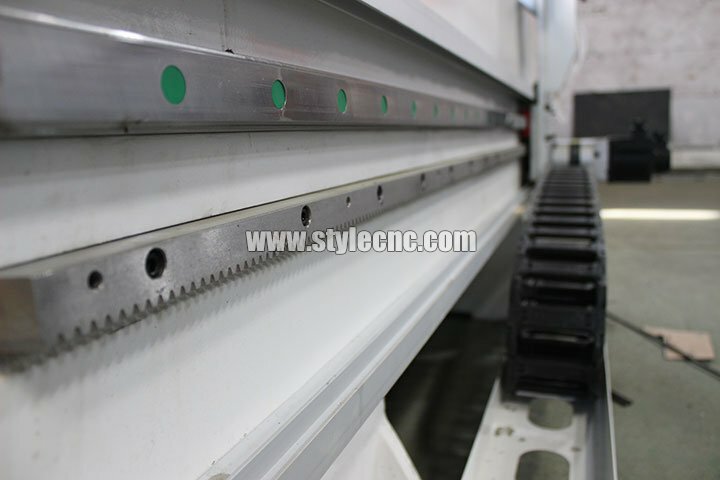 License: The text of "Stone CNC Machining Center for Cutting and Polishing" by STYLECNC is licensed under a Creative Commons Attribution 4.0 International License. Just received this big stone CNC machine. 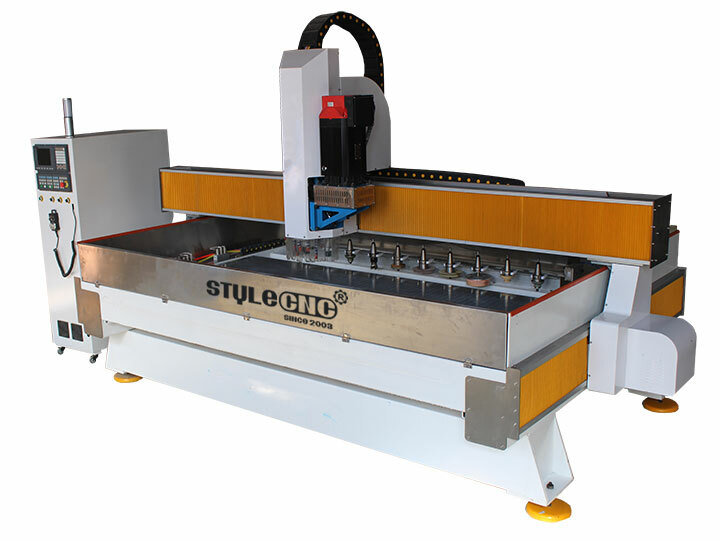 Engineers from STLECNC helped me for training and installation, which is very helpful for the CNC machine. 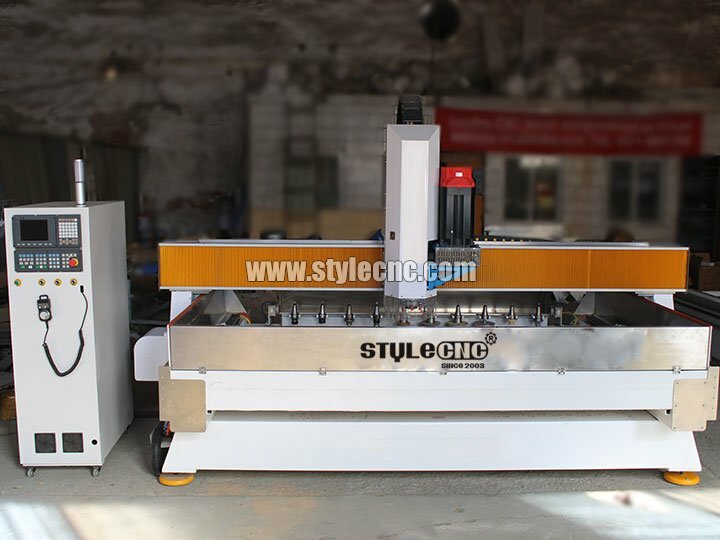 I am glad to have this CNC machine and meet the lovely people from STYLECNC. Recommended. 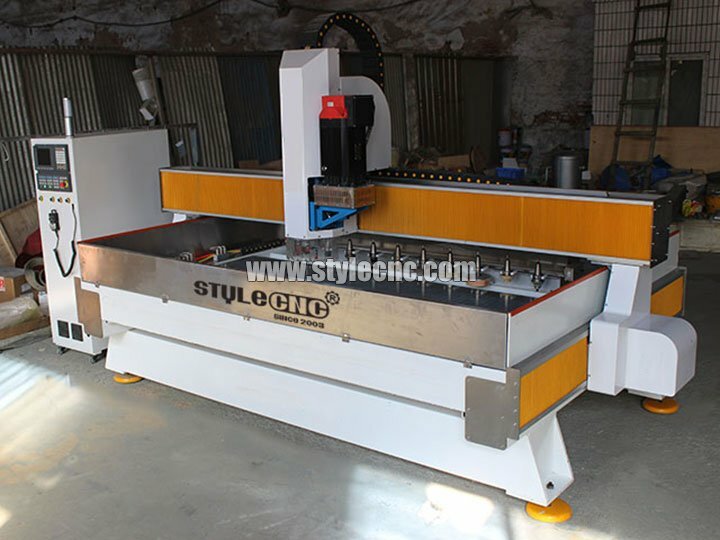 I am very happy with the purchase of this stone cnc machine from STYLECNC. It was packed neatly and arrived safely without any hassle. All the parts are present and carefully packed by the manufacturer.